Saffron (also popular as Zafraan and Kesar) is an extremely valuable spice. Saffron is widely popular spice used in Indian cooking. It is highly popular for its distinct flavour, medicinal and health properties. It works to refresh the body and mind. It is also added in beverages. 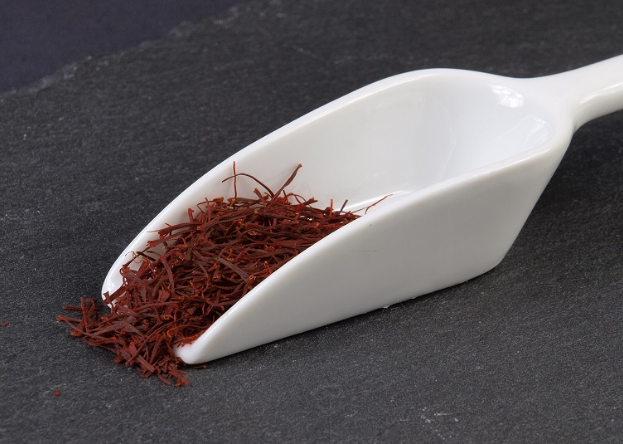 Saffron has a unique colour and flavor which it gives to the food when added. The whole processing of this spice is manhandled, which makes it one of the costliest spices in the world. Zafraan is, however rare and exotic, but really worth the money price. Saffron is commonly known as ‘Kesar’ in Hindi, ‘Kumkum Puvvu‘ in Telugu, ‘Kumkuma poo‘ in Tamil, ‘Kunkumapoov‘ in Malayalam, ‘Kesari‘ in Kannada, ‘Kesar‘ in Punjabi, ‘Keshar‘ in Marathi, and ‘Jaffran‘ in Bengali. Here is all you need to know about the benefits offered by this golden spice. Kesar contains a number of minerals such as potassium, cooper, manganese, calcium, magnesium, iron, selenium and zinc. All of these control blood pressure and boost haemoglobin formation. The spice contains bio-chemical compounds like lycopene, zeaxanthin, α- and β- carotene. These compounds not only protect the body from cancerogenic cells but also act as an immune modulator. Zafraan has various bio-chemical compounds that not only contend various diseases but also boost body health by regulating free radicals. The therapeutic applications of Saffron makes it a great detoxifying agent. This spice is also used in body healing, spasms, spas, and cramps. The presence of an anti-convulsant and multiple medicinal compounds in Kesar stimulate digestion. Consuming a mix of 1g saffron and 1litre water daily strengthens stomach functions. Zafraan is widely used in pain management. It is also highly beneficial in treating menses related pains. Simply adding Kesar to your daily intake of milk or tea will provide relief from pain. Massage saffron-honey mixture on the affected tooth to get rid of pain. You can also use glycerine instead of honey. The mixture also boosts gums health. This spice contains safranal- a sedative compound that works as an analgesic and provides relief from various respiratory issues. Saffron has good percentage of Vitamin C. It develops immunity and provides relief from a number of ailments. Kesar is highly effective in curing issues related to muscular degeneration. The spice slows down the degeneration process and heals the damaged cells. Zafraan can be used in combination with any hair oil. It boosts neurological health and combats various issues related to it. Saffron is used in ayurvedic medicines prescribed for arthritis patients. Plus, the spice is used for eliminating asthma issues as its compounds clear breath. Kesar enhances pelvic blood flow and eliminates the possibilities of cramps. It is for these reasons saffron milk is highly recommended during pregnancy.